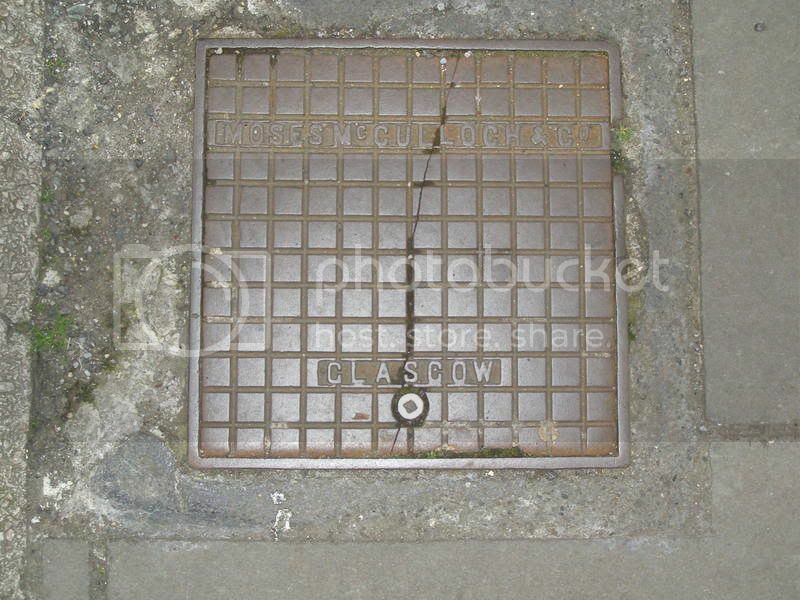 Although Glasgow is well known for its industrial past, I think its often overlooked that you can still see traces of long gone companies all around you in the form of the cast plates or the company name cast on to items. I like my chunks of metal and always look out for them, so I thought I’d start a new thread for photos of them and details of any of the companies which you come across on your travels. 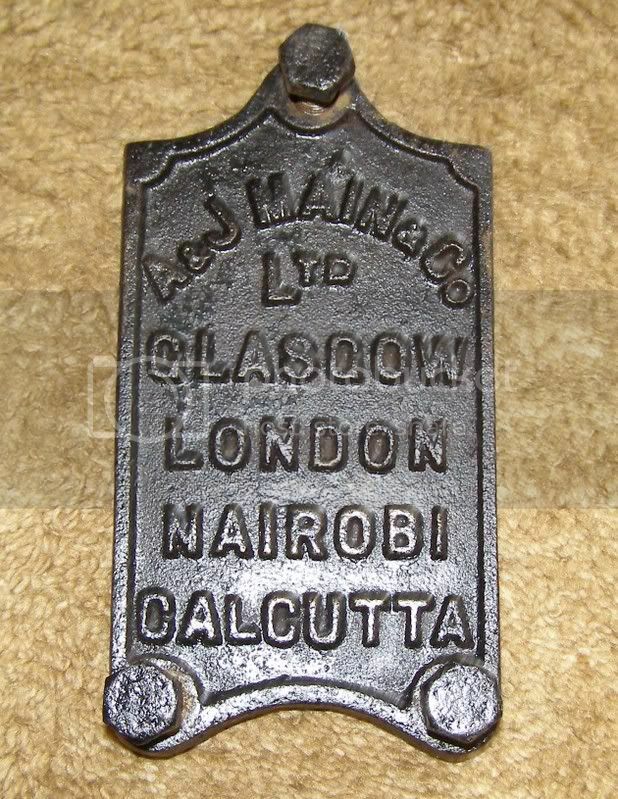 I thought it would it would primarily be for plates from Glasgow manufactures or ones seen in Glasgow but I’d also like to see any Scottish ones. Also while I think it's great to see them insitu, photos of rescued ones would be good as well. 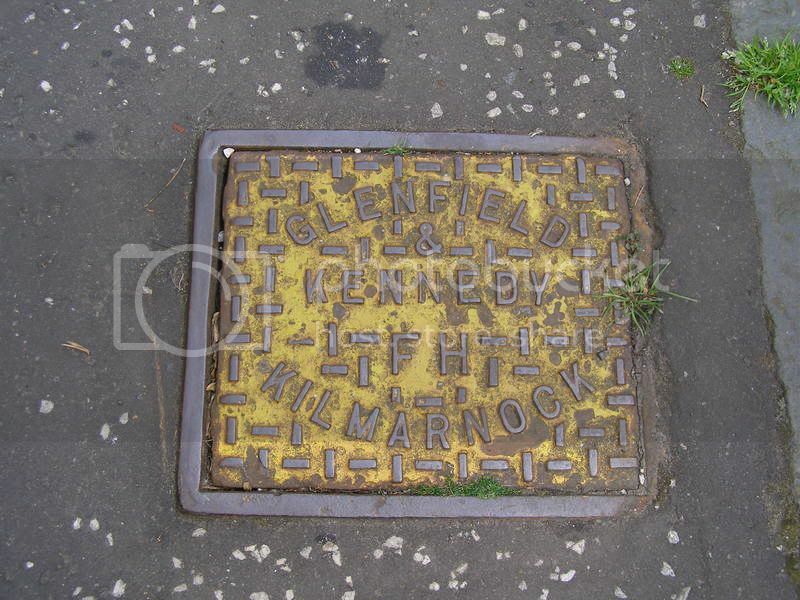 Although not strictly plates, I’ve included some Scottish stanks which I’ve come across in Glasgow. I’ve found it’s a good test of the photographers brass neck to take a picture of a stank while people are walking past! I also found that you really need a few fag butts to get the composition right. Great idea Cell - the essence of Hidden Glasgow. I had a wander on the way home tonight , and was amazed by the stuff I could not find! 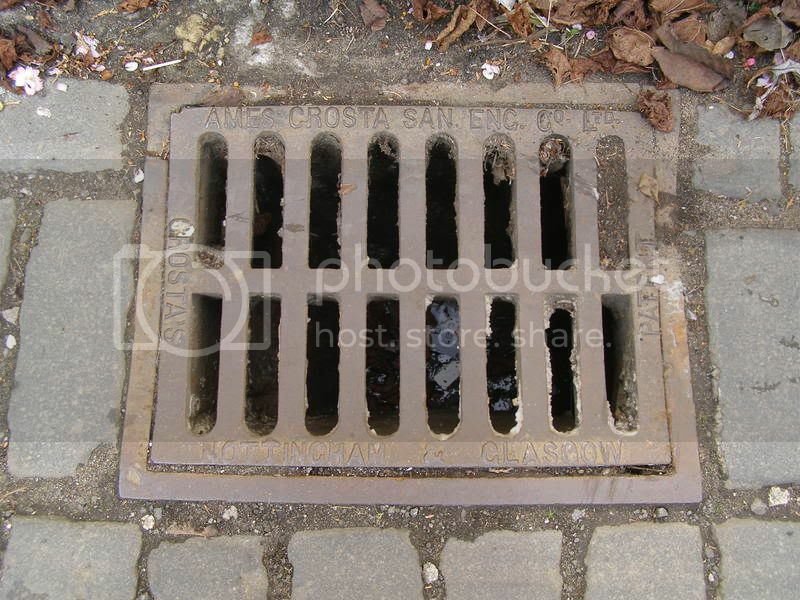 So many gullys have been stolen & replaced with new cast iron. 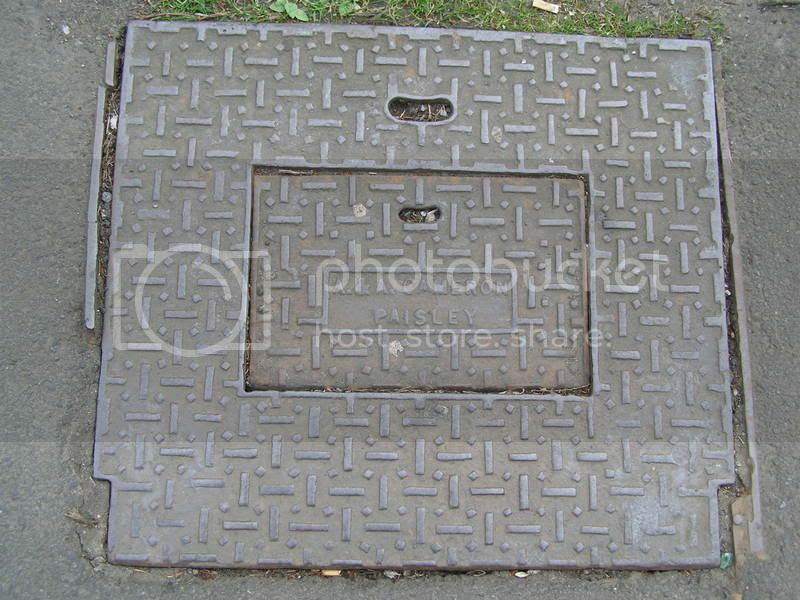 It's a shame , but currently a problem due to the price of scrap iron. Great contributions guys! If it’s off a Glasgow bus, I don’t see any problem with that, looks like you have a few other goodies on that wall, no tram ones there? There seems to be quite a good number of survivors on bridges, I guess their position makes them safe. Motherwell seems to have had quite a number of bridge builders in the past including the granddaddy of them all Motherwell Bridge, I’m not sure why that was any ideas? 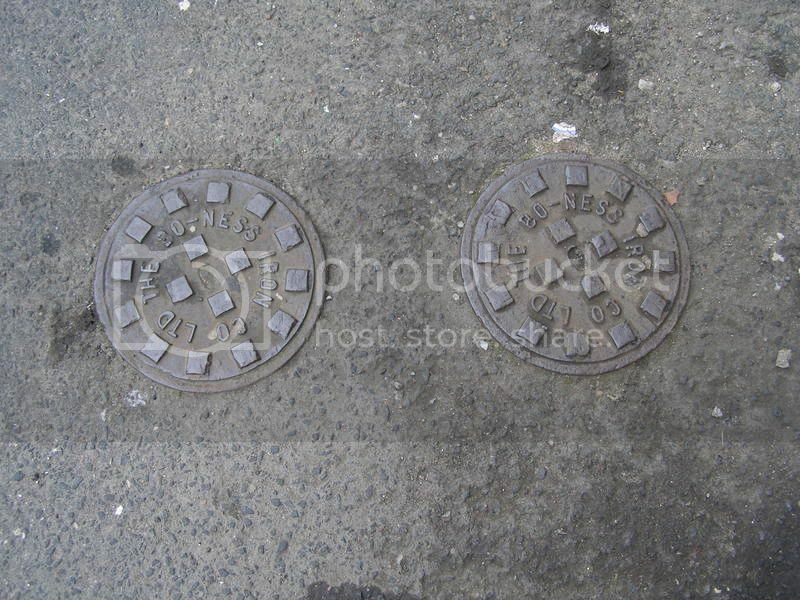 Here’s a slight variation, a couple of plates and a picture of the works where they came from. Sadly this bit of Weir Pumps was sold off recently and the site is due for new flats but I hope they can keep some of the frontage. cell wrote: Great contributions guys! If it’s off a Glasgow bus, I don’t see any problem with that, looks like you have a few other goodies on that wall, no tram ones there? 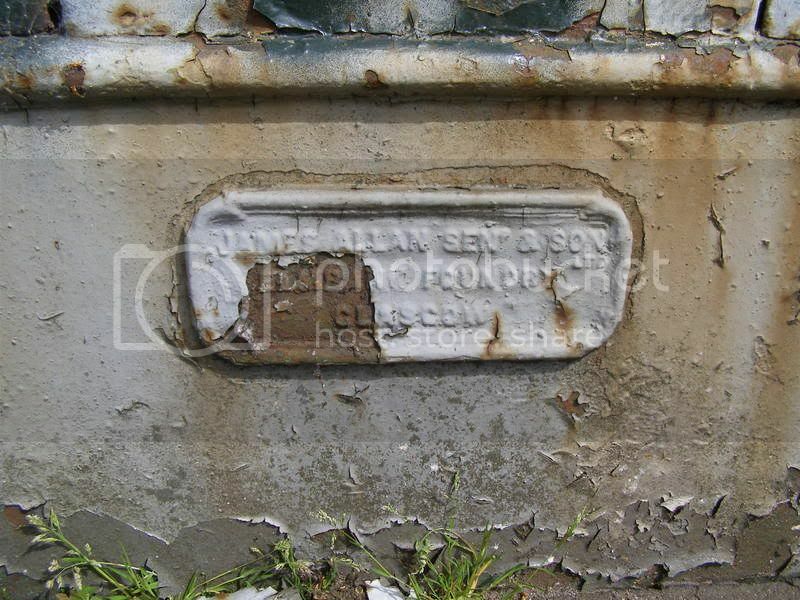 Afraid not, that's just the Leyland builders plate off the same bus. Another Glasgow transport one, this is on an old Subway signal indicator board. They supplied & fitted the Subway signalling equipment in the 1930's. British Polar Engines, this company makes large diesel engines originaly for ships but also for other uses. It is still at Helen St in Govan, the current works are much smaller but there is still an interesting bit left of the old works where you can see BPE in mosiac. This part is now a scrap yard which you can have a wander around if there is no one about. It is an excellent wee thread. Thanks Soccerroo, that’s an excellent thread which I hadn’t seen before, there is some good electricity supply ones in there as well which I should link to from the Electricity Supply in Glasgow thread. 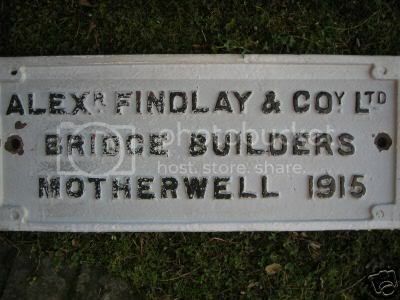 Here is another Motherwell bridge builder one which just seems to confirm that Motherwell was once the bridge building capital of Scotland. 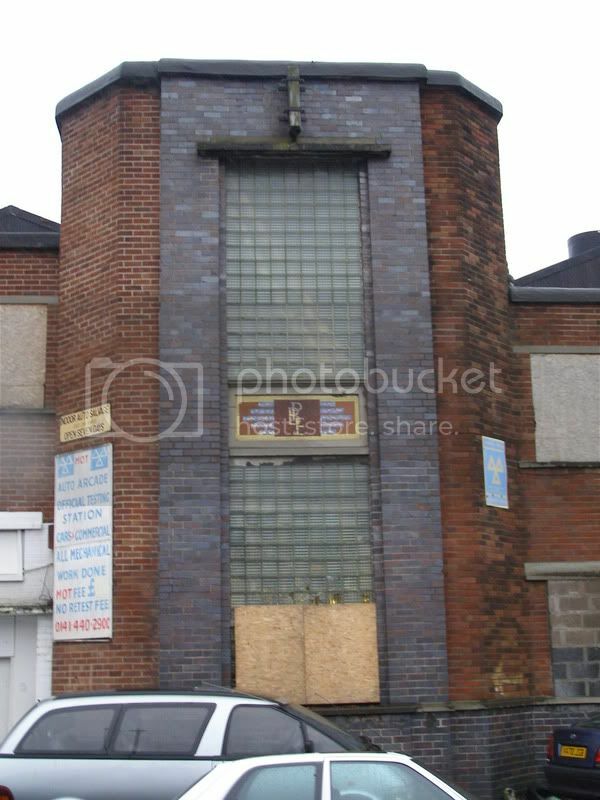 I’ve no idea what this next one was off, a quick Google reveals that A & J Main were structural engineers so I guess a steel framed building but I don’t know where their works were. Anyone help out? I liked the unusual combination of sites, very British Empire! 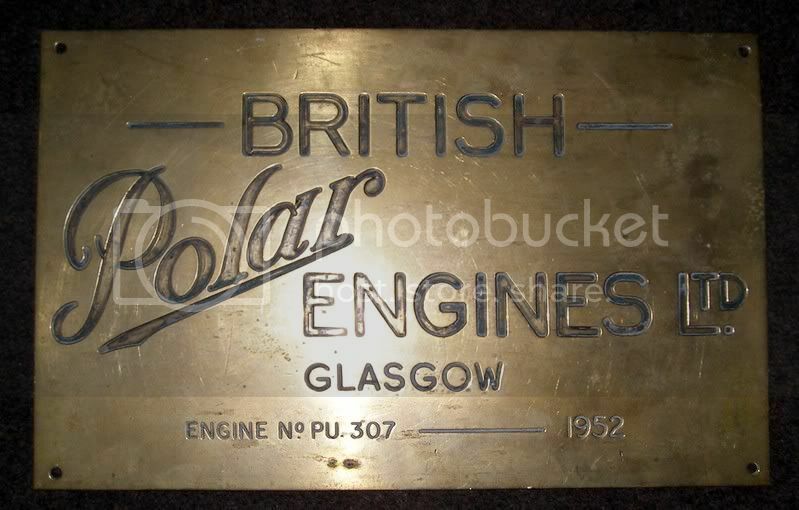 cell wrote: British Polar Engines, this company makes large diesel engines originaly for ships but also for other uses. 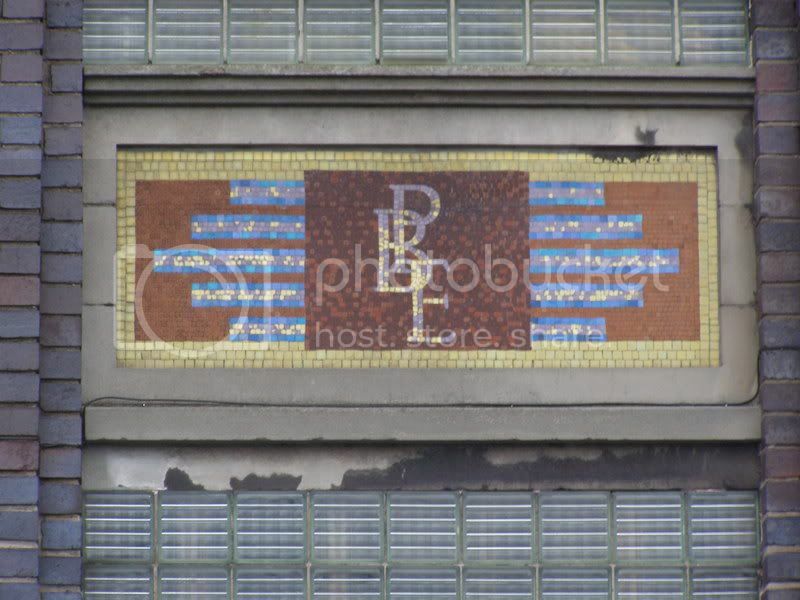 It is still at Helen St in Govan, the current works are much smaller but there is still an interesting bit left of the old works where you can see BPE in mosiac. 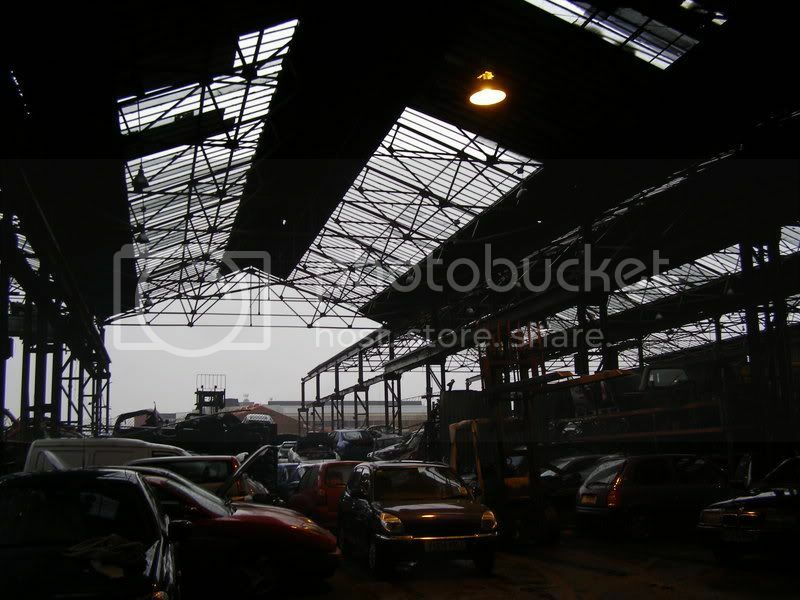 This part is now a scrap yard which you can have a wander around if there is no one about. 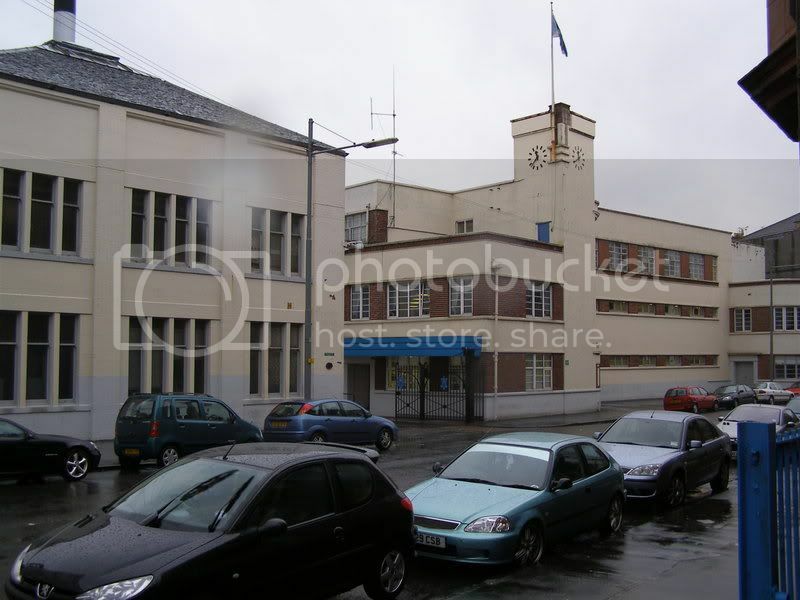 Did BPE not move out to Bellshill about 10 years ago? 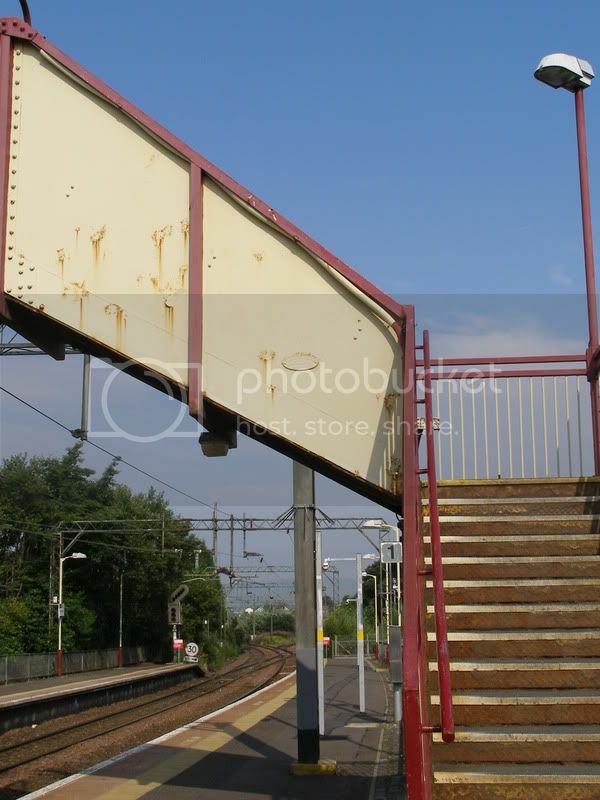 During the electrification of the Glasgow suburban services in the late 1950's, there was a need to raise to footbridges to accommodate the overhead wires at many stations. PW MacLellan seems to have got the contract for a lot of these and here is an example of their work at Westerton. Some background to the firm from the Journal of the the Cochin State Forest Tramway by D R. Varma D Churcill & M Reusser 2005. 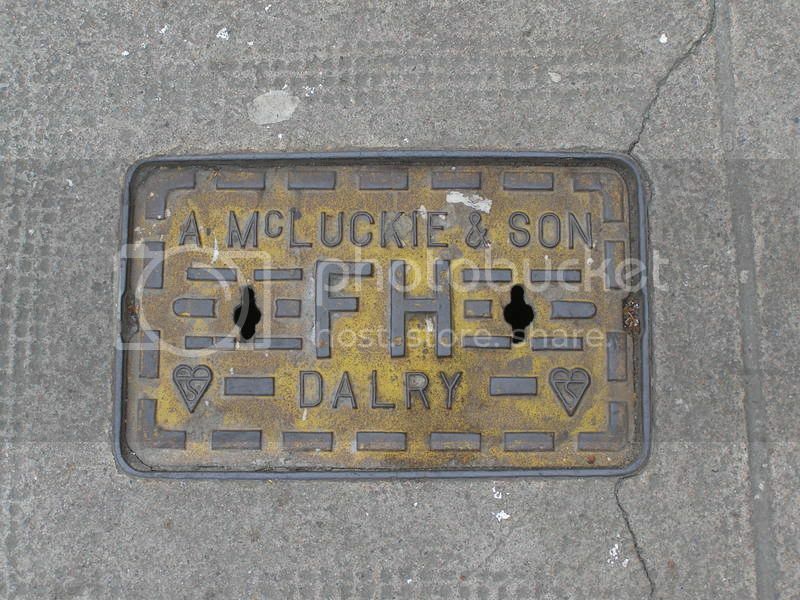 “The origins of P&W MacLellan started when Donald MacLellan started a hardware shop at 5 The Trongate in 1809. 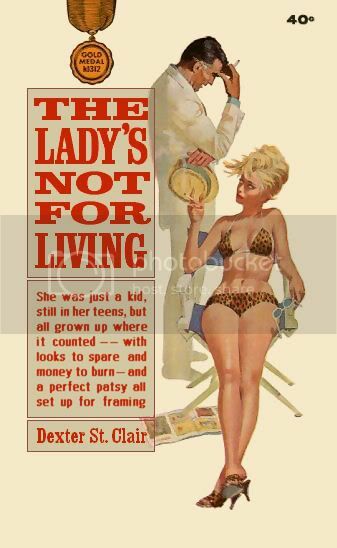 As he had no children of his own, Donald passed on his business to his nephews Peter and Walter MacLellan. 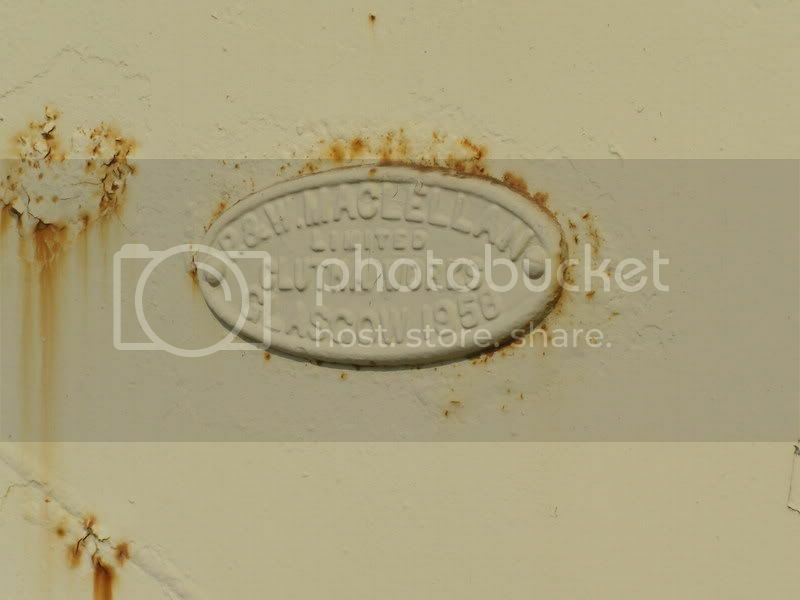 The company P&W MacLellan was formed in 1839. They added iron merchanting in 1848 at which time they appear to have started making iron bridges. Around 1851-1852, they converted their works in New Wynd into an iron warehouse and purchased premises at 10 Adelphi Street, Kinning Park, Glasgow, for GBP 2,500. They named their premises the Clutha Iron Works. In 1876, the firm moved into the teak trade with Wallace Brothers, Britain’s main importer. The deal gave P & W MacLellan control of the sale of all Bombay Burma teak on the Clyde and 2.5 per cent commission on the eight to ten thousand loads a year. The firm, in 1890, was one of Scotland’s most significant businesses, employing over 3000 people at its Clutha Works and Trongate site. I came across this site which has some excellent pictures and information regarding ironworking in Scotland, well worth a visit for all of you who appreciate big chunks of metal! Thanks for the info cell. Here's a plate from another thread. 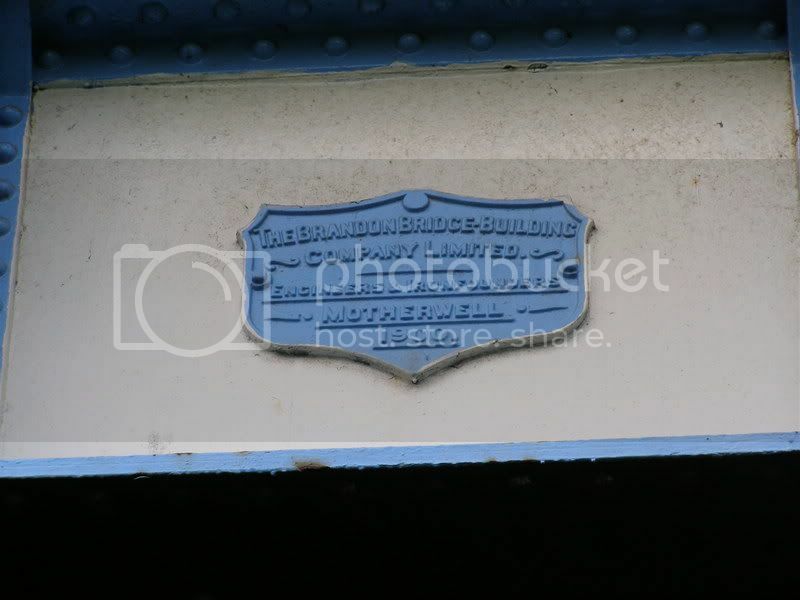 Nice plate Peetabix, someone told me recently that the roof of Queen St station was by PW MacLellan so there must be a plate some where around there, has anyone a picture or know where it was? Here is another Glasgow pump maker. 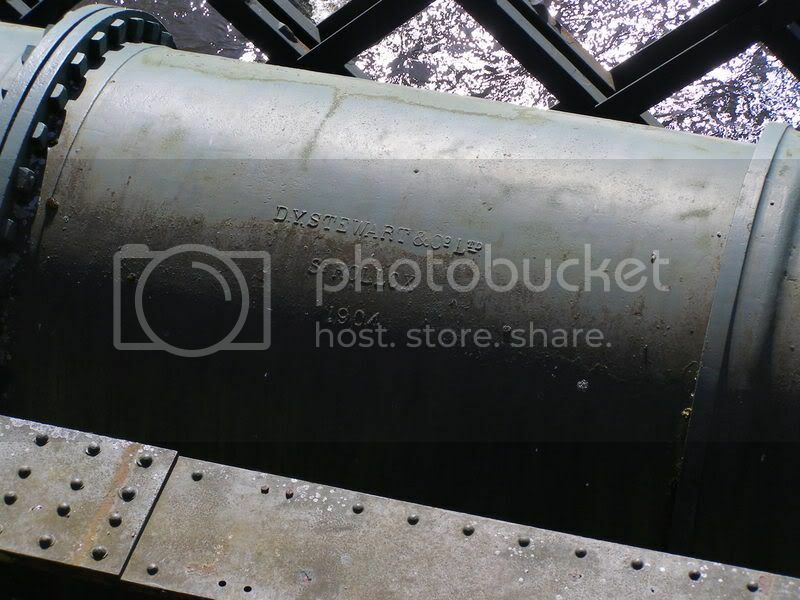 Drysdale was one of the early manufacturers of centrifugal pumps and was bought by Weirs just after the 1st world war to allow Weirs to get a foot hold in this rapidly developing section of the pump market. It stated off in mainly the marine industry but was later to be known for its large scale cooling water pumps used in the power industry. 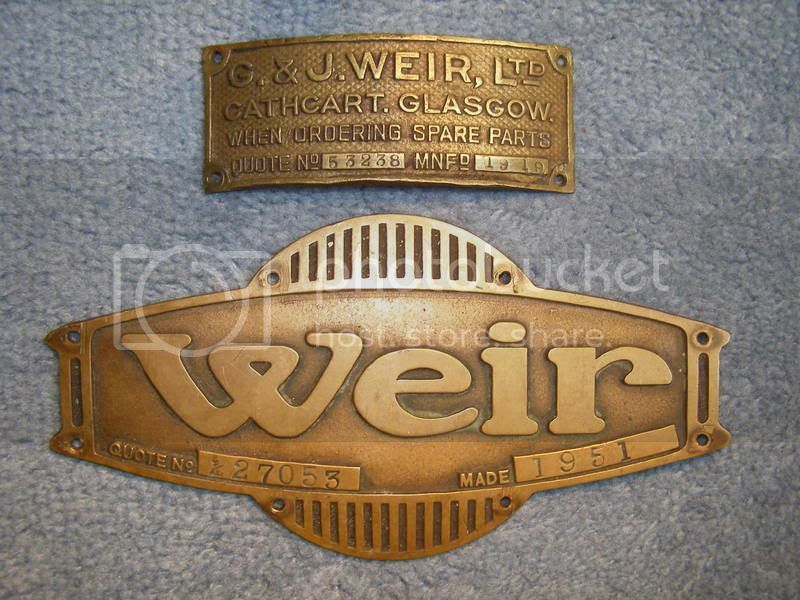 It was operated as a seperate company as part of the Weir Group up until the 1970s? when it became part of Weir Pumps. 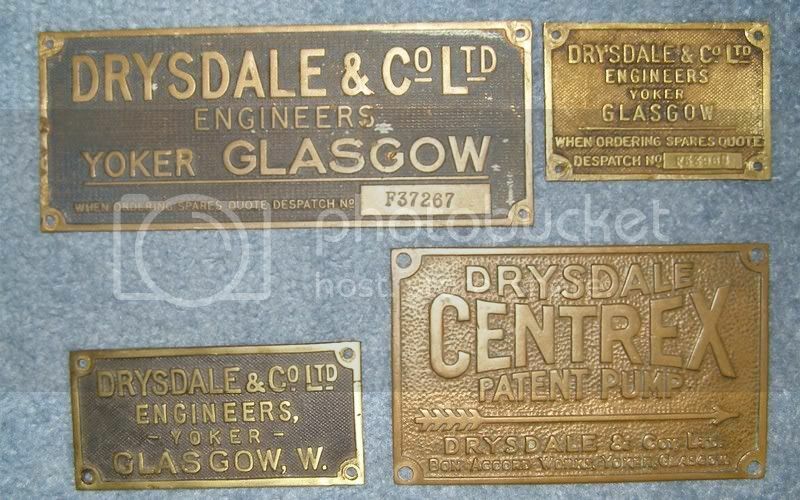 Drysdale’s factory was in Yoker, exactly where I’m not sure but there is a Drysdale St there which might be connected. I also don’t know when it was closed, has anyone any other info?